I wonder if they’re related? 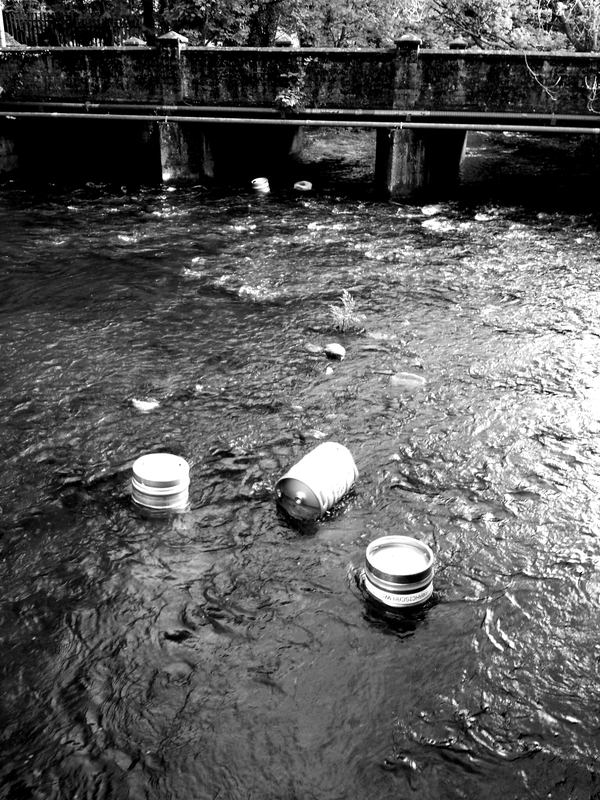 Some idiots decided to throw four beer kegs into the River Martin in Blarney over the weekend. I saw them last night and they’re still there this morning unfortunately. I just put out the bin and I’m freezing. Didn’t help that I stopped to take a few photos of my garden I suppose! Snow fell for the first time in appreciable quantities in blarney today. Sure, we had a few flurries before this but not like today. Here’s my son Adam out in the snow this evening!